DVR alert: Drunk History is back tonight! The new season of Drunk History premieres on Comedy Central tonight at 10:30 EST. I’ve been a loyal viewer since it was on YouTube and while the transition to television was a little awkward — a sketch on the short-lived Funny or Die HBO show — it has found its footing on Comedy Central and is now heading into its third season. In the first two seasons of the Comedy Central show, each episode revolved around a city as a unifying theme. Three comedians told a story each about, say, Detroit or New York City of Nashville, and it worked because hometown yarns are always good fun, and anyway history is so dense and rich that there’s no chance of so broad a range as an entire city feeling limited. Still, I missed the theme shows of the olden days, so I was delighted to see a few of them in season two (First Ladies, American Music) and they’re back this season. The first episode has a theme, in fact, the history of science, one of my favorite subtopics. If you haven’t seen it before, I envy you, because you can watch every episode of the first two seasons on Comedy Central’s website with enthralled new eyes. The episodes are just over 20 minutes long, so you can totally marathon through all 18 of them in less than seven hours. I’m not saying you should call in sick, but you should probably call in sick. Priorities, man. Drunk History co-creators Derek Waters and Jeremy Connor, were on a panel at this year’ Comic-Con. Waters talks about the inception of the show — Otis Redding was involved — and how it took off, the processes of narration and reenactment, topics they thought would work but turned out to be buzzkills, ie, the Donner Party and serial killer H.H. Holmes. Fun fact: the first season they made narrators tell two stories which means they were drunk non-stop from 3:00 in the afternoon until after the wee hours of the next morning. Oh, and the narrators have to blow in a breathalyzer regularly throughout filming to ensure they are efficiently but not dangerously wasted. Guest stars this season include Octavia Spenser, Parker Posey, Will Ferrel, Josh Hartnett and Maya Rudolph. If you’re a fan of the show, you’ll wish the panel video were longer. More showing how the sausage is made! The follow-up Q&A is, alas, very brief, but it still manages to cover a couple of key questions I’ve been curious about, most significantly how are the stories chosen and by whom. Retired electrician Pierre Le Guennec and his wife Danielle have been convicted of possessing stolen goods, namely 271 drawings, collages and paintings by Pablo Picasso. The trove of previously unknown works came to light in September of 2010 when Pierre Le Guennec carried a suitcase full of them to the Picasso Administration to have them authenticated. 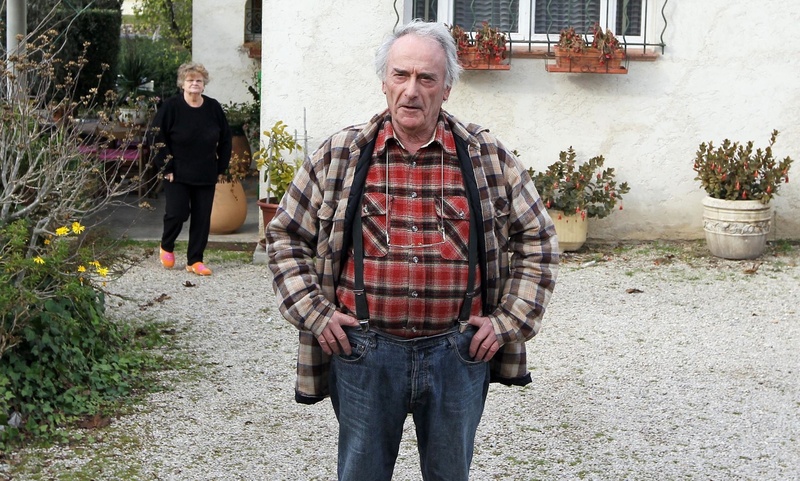 His story was that either Picasso himself or his wife Jacqueline gave the art to Pierre as a gift for having installed a security system and done some other work around the Côte d’Azur estate. Picasso’s son Claude found this account unbelievable because while the artist was generous with his prolific work, he routinely signed and dated a piece before giving it to someone. There was certainly no precedent for Picasso handing over hundreds of random, unsigned pieces at one time. Claude pressed charges against the Le Guennecs for receipt of stolen goods. Pierre and Danielle gave different accounts of how they had acquired this multi-million dollar treasure. [On the stand Pierre] recalled that one day, in a corridor, Jacqueline Picasso had handed him a closed box containing the works, saying: “Here, it’s for you. Take it home.” He said: “Thank you, madame” and they never discussed it again. During the inquiry, Danielle Le Guennec had separately recalled a different version: that her husband came home with a stuffed rubbish bag, and told her Picasso had given the works to him when tidying his studio. Both stories strained credulity, as far as the Picasso heirs were concerned, and no clear answers were forthcoming in court. They do suspect that third parties may be involved. The couple are in the 70s now and won’t be going to jail. They were given a two-year suspended sentence and the collection will be returned to Picasso’s heirs. The court made no determination as to who was responsible for the theft. The Smithsonian Institution’s National Museum of American History has a collection of beautiful Belgian laces made during World War I at the behest of future President of the United States Herbert Hoover. Hoover’s name is nowadays most commonly associated with the lack of relief for the destitute of the Great Depression — the notorious tent cities of the homeless and poverty-stricken were famously called Hoovervilles — but before he was president Herbert Hoover was actively involved in relief efforts. As head of the Food Administration under Woodrow Wilson, Hoover was in charge of the administration’s food and fuel conservation programs during the war, but before that, when war first broke out in 1914, Hoover ran the Committee for Relief in Belgium (CRB) which organized the distribution of food supplies to ten million people in occupied Belgium. Hoover wasn’t in government at the time. He wasn’t even in the United States. He was living in London, a wealthy mining engineer and investor who translated Renaissance mining tracts with his wife Lou in his spare time. That translation is considered the standard for its clarity of language and extensive scholarly footnotes and is still in print today. He was drawn into relief work after World War I broke out and tens of thousands of American citizens suddenly found themselves stranded in London. 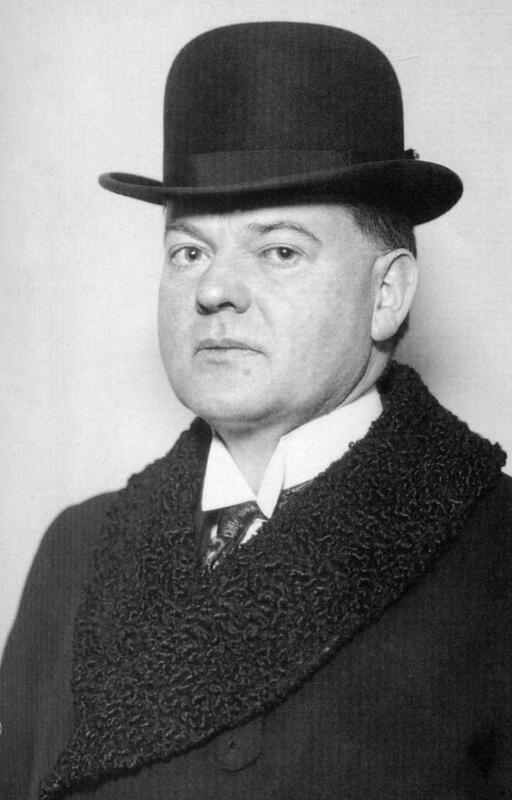 Hoover organized a committee to get them back home and was so effective that in October of 1914 the U.S. ambassador to the Court of St. James asked Hoover to take on a far more onerous job: keep all of Belgium from starving to death. Belgium had been invaded by Germany at the start of the war and famine immediately became a very real prospect. The small country only produced enough food to supply 20-25% of the population, but whatever food was available was requisitioned by the occupiers to supply the troops. Britain put Germany and the occupied countries under blockade making food imports nigh on impossible. That was the Gordian knot Hoover had to cut through. He was able to arrange for the relief supplies to be shipped to Belgium where the CRB monitored their distribution by the Comité National de Secours et d’Alimentation (CNSA), the Belgian organization dedicated to famine relief. The CRB personnel weren’t just passing the time of the day. They had to be involved in every step of the distribution process because as occupied Belgians, CNSA personnel were legally bound to follow German orders. The primarily British and American CRB staff was under no such obligation. Their job was to ensure the food made it to Belgian plates and they did it well. The CRB raised funds, shipped 5.7 million tons of donated food past Germany’s unrestricted U-boat warfare and then literally fed Belgium from 1914 through 1919. Hoover’s concern wasn’t just to keep Belgians from mass starvation. He also arranged for thread to be distributed to Belgian lace makers and for the sale of their finished lace to buyers in Allied countries. 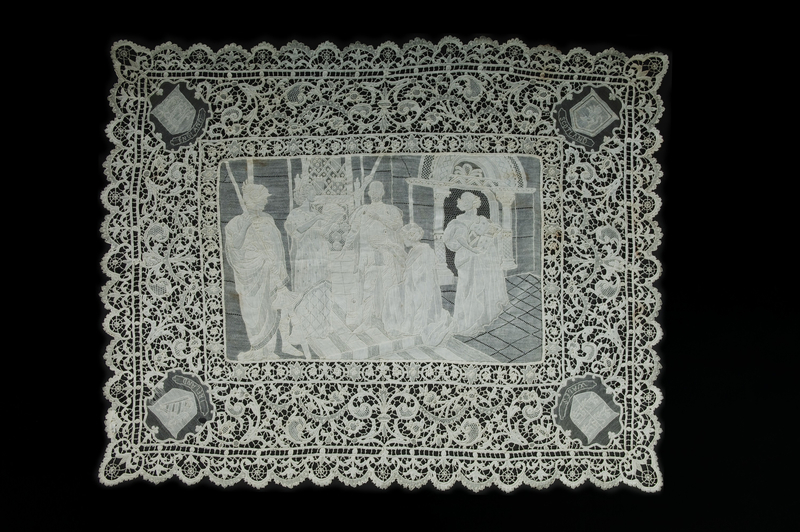 Belgium had been famous for its delicate handmade laces since the 17th century, and while industrialization and mass-production had hobbled the traditional craft, Queen Elisabeth of Belgium instituted promotional and improvement programs had helped spur a revival of interest in handmade lace just before World War I. 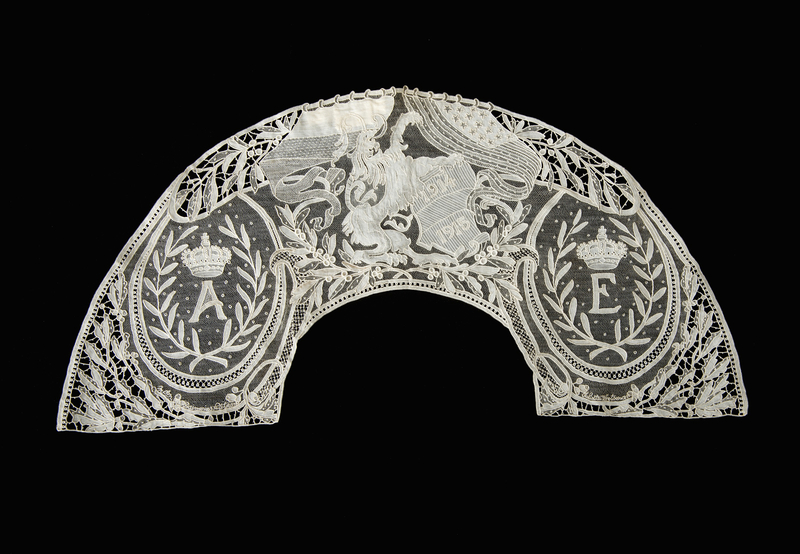 The Belgian lace committees worked closely with the “Commission for Relief of Belgium” as the work on behalf of the lace makers became even more important during World War One. Several famous Belgian artists were enlisted to make new designs. Among them were Isidore de Rudder, his sister Maria de Rudder, Charles Michel, and Juliette Wytsman, who designed some of the War Laces that are now part of the collection at the National Museum of American History. World War One laces often included names of people, places, inscriptions, and dates; a characteristic not usually found in other lace work. The lace often incorporates the coats-of-arms or national symbols of the Allied Nations as well as the nine Belgian provinces in recognition of the help received. 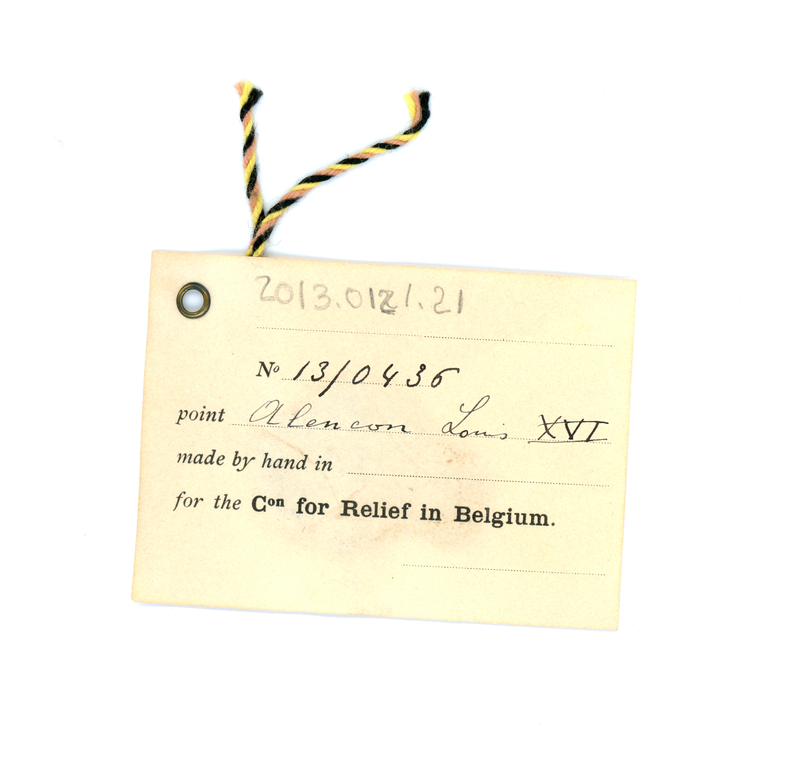 It was hoped that these distinguishing elements would appeal to generous people around the world who might buy these laces in support of the Belgian people. Sometimes the appeal was even more direct. 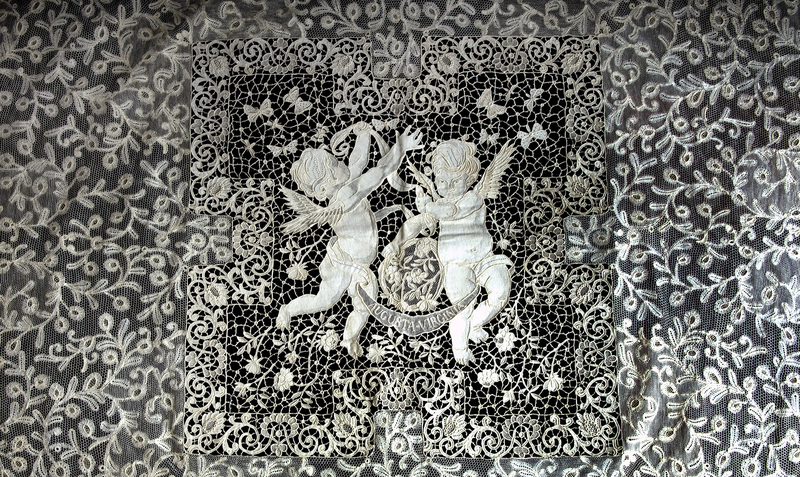 This exquisite banner panel features a pair of cupids holding a banner inscribed “Augusta-Virginia,” the name of the mother of the Vicomtesse de Beughem. The Vicomtesse, an American married to a Belgian aristocrat, was one of four women in charge of the Lace Committee. It is believed she commissioned the banner in honor of her mother, Augusta Virginia Mitchell. One of the other three women, Mrs. Brand Whitlock, wife of the US ambassador to Belgium, commissioned this table cloth with the seals of the United States, Belgium and the Whitlock family crest. 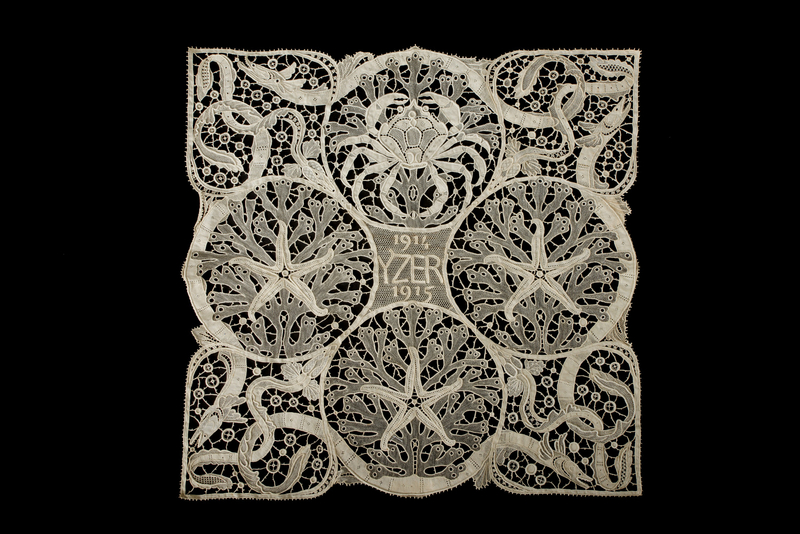 The program ultimately kept 50,000 lace makers in Belgium working from 1914 through 1919. The war laces in the Smithsonian collection are not on public display, but they have been digitized and can be viewed online. It’s a gasp-generating browse, even though I dearly wish the pictures were larger. I know, I know… I always wish the pictures were larger, but the minute details of this lace just beg to be viewed in extreme closeup. It’s a little awkward to navigate, but you can feast your eyes on the minutiae by clicking on the name of the object. This takes you the catalogue entry. Scroll down to the bottom for additional images. Those are detail images, so while you can’t see the whole piece zoomed all the way in to the stitching, you can explore the a section of the lacework in satisfying detail. One of my favorites is Table Mat With English Scene which has an unbelievable allegorical depiction of the coronation of British King George V in 1911. 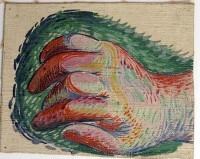 The image started out as a cartoon by Bernard Partridge published in Punch Magazine which was the converted into lace using the Point de Gaze technique. The Isidore de Rudder Designed Pillow Top goes in a completely different direction, commemorating the battle at the Yzer River with a glorious sea creature design in Point de Venise needle lace. I love the Monogrammed Fan Leaf with Designer’s Name because while it has the monograms of Belgian King Albert I and Queen Elisabeth writ large on either side of the Belgian Lion, it also has the names of designer Juliette Wytsman and the manufacturer Maison Daimeries-Petitjean in very petite cursive under the monogrammed initials. It’s incredible to me that it’s even possible to write your name so small and clear in Point de Gaze needle lace. Oh, and here’s one for Supreme Court Justice Ruth Bader Ginsburg: Collar with Peace Doves. A hoard of Viking-era silver ingots and coins discovered in Wales has been officially declared treasure at a coroner’s inquest. 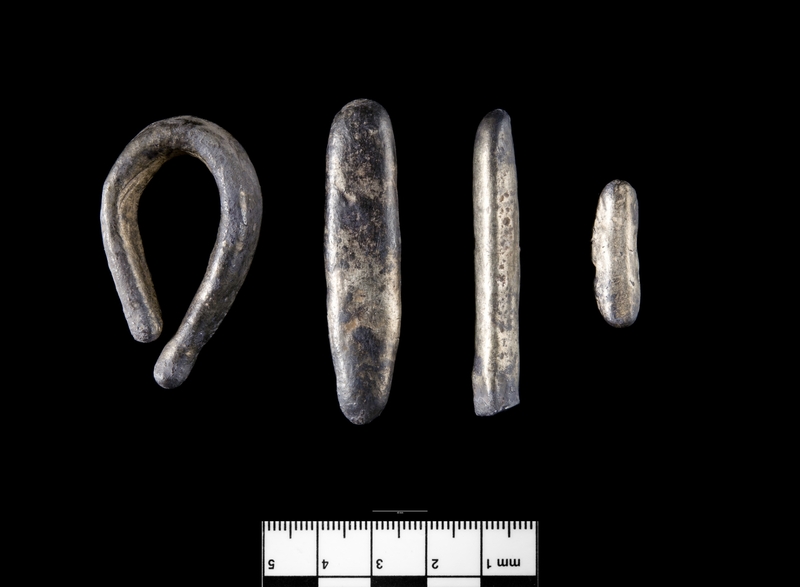 The hoard was found in March by metal detectorist Walter Hanks in a field in Llandwrog, north-west Wales. Consisting of fewer than 20 coins and coin fragments, three complete ingots and one partial, it’s a small trove of outsized historical significance because of its age and rarity. 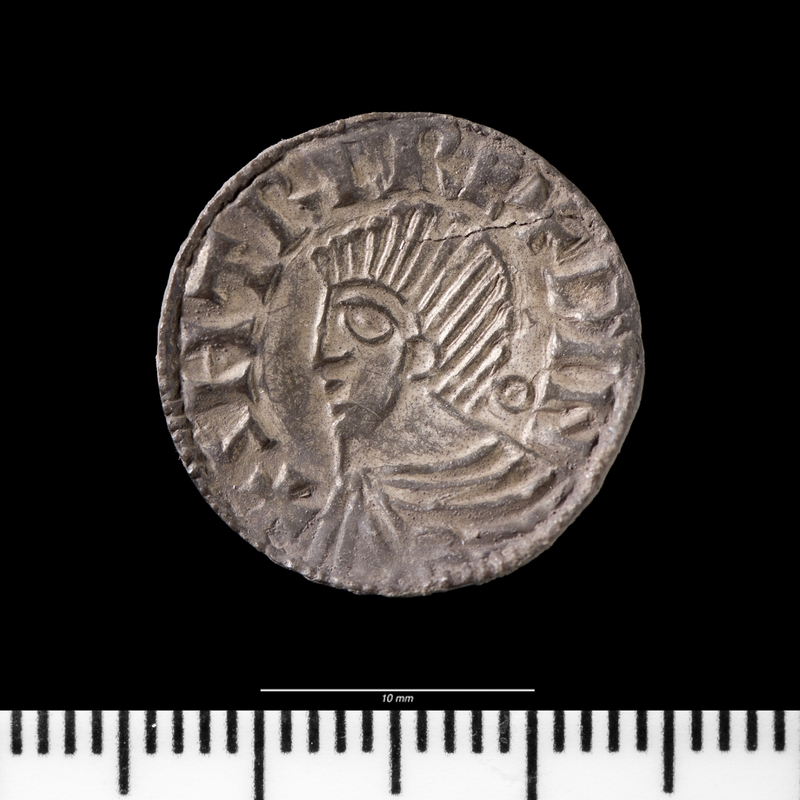 Fourteen of the coins are silver pennies minted in Dublin under the reign of the Hiberno-Norse King of Dublin Sihtric Anlafsson, aka Sigtrygg Silkbeard (r. 989-1036). Eight of them date to 995 A.D.; the other six, three of which are fragments, were minted in 1018 A.D. Sihtric’s coins are very rare discoveries on the British mainland. 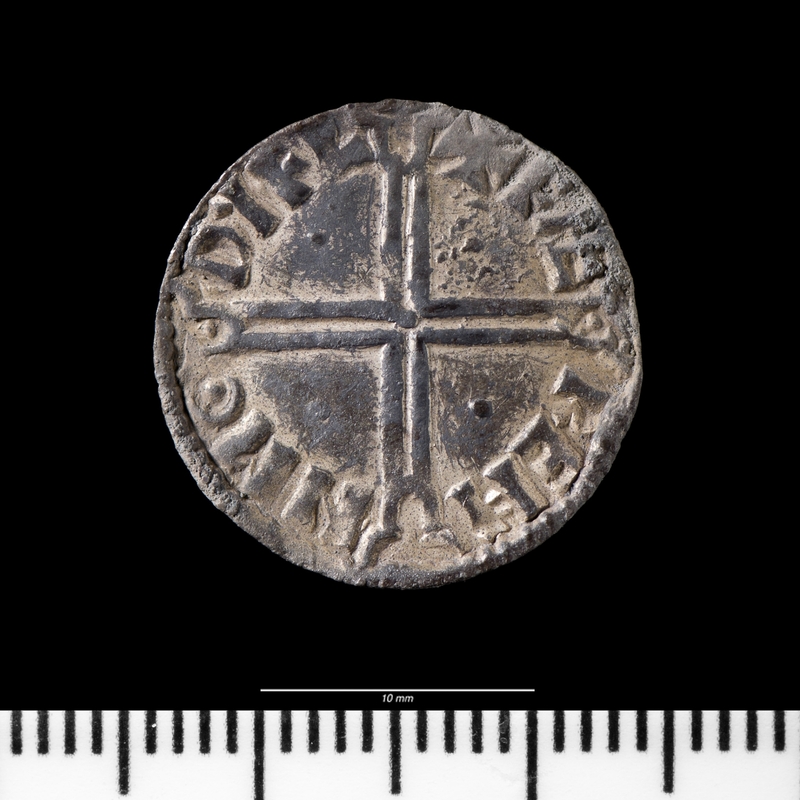 There are also fragments of three or four silver pennies from the reign of Cnut the Great, the Danish King of England who reigned from 985 or 995 through 1035. 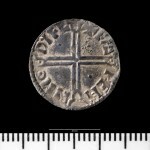 The Cnut coins were probably produced in the mint at Chester. Archaeologists believe the hoard was lost or buried between 1020 and 1030. 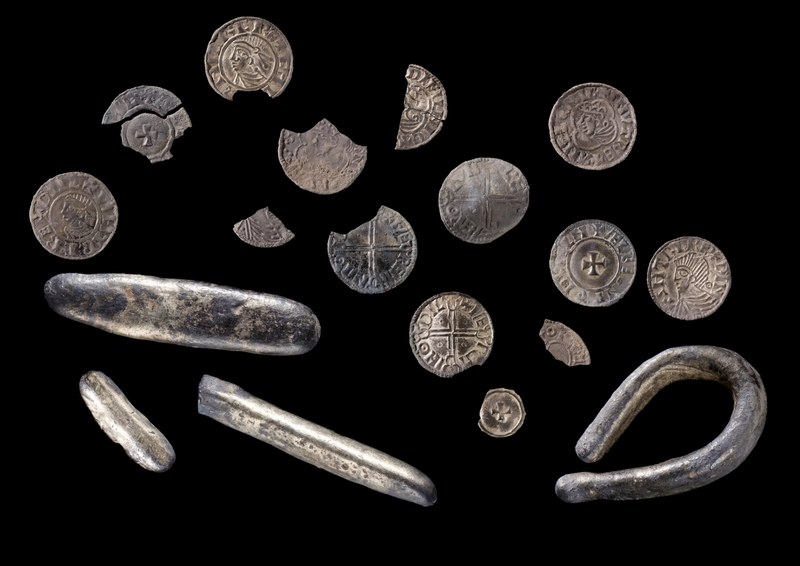 The Bryn Maelgwyn hoard, unearthed in 1979 near Llandudno in Conwy, north Wales, was buried around that time — after 1024 — and it too contains coins minted by Cnut and Sihtric: 203 Cnut silver pennies and just two Sihtric silver pennies. 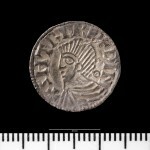 The Bryn Maelgwyn coins are thought to have been Viking booty rather than a savings account, however, unlike the Llandwrog hoard. The weight of the ingots is 115.09 grams out of a total hoard weight of 127.77 grams. That means fully 90% of the weight of the hoard is in the ingots which suggests the hoard’s main role was silver storage. He said: “There are three complete finger-shaped ingots and one fragmentary finger-shaped metal ingot. Nicking on the sides of the ingots is an intervention sometimes undertaken in ancient times to test purity, and evidence that they had been used in commercial transactions before burial. The National Museum Wales is hoping to secure the hoard. The Bryn Maelgwyn hoard is at the Cardiff branch of the Nation Museum, so it would be in excellent company. First the valuation committee must decide the fair market value of the hoard. The museum will then try to raise the price, ideally through a Lottery Fund grant, which will be divided between the finder and the landowner. Botticelli Reimagined exhibition have discovered that the flaming red hair is original. It was Rossetti’s own words which placed him under scrutiny. 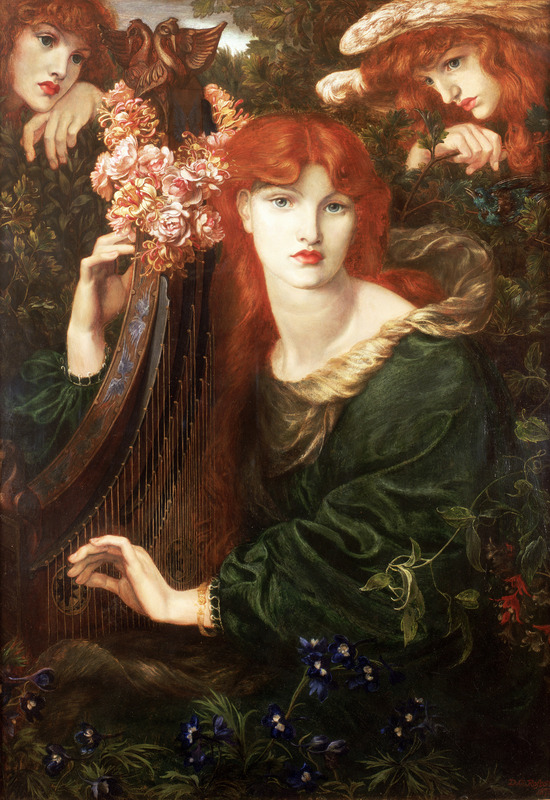 In a letter dated three days after he bought the painting, Rossetti told his secretary “I have been restoring the headdress, but don’t mean to tell.” The hair was thought to have suffered the brunt of Rossetti’s sneaky intervention, but when V&A conservators removed the top layer of discolored varnish, they saw that there were fewer layers of paint than they expected to find. 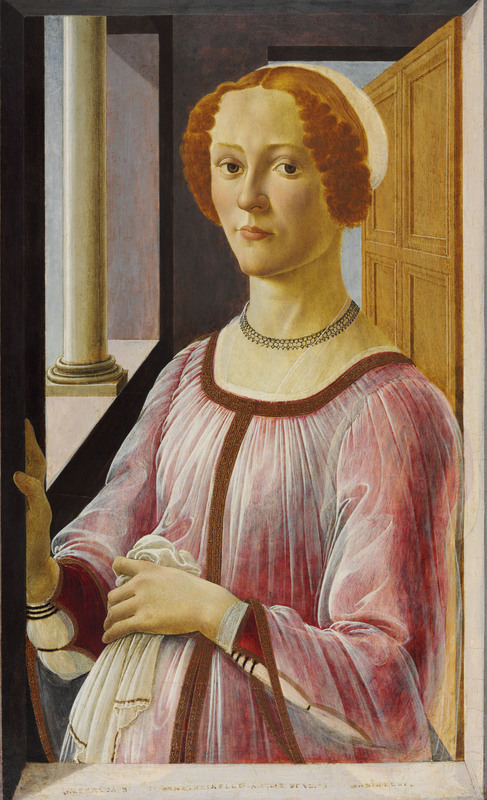 Analysis of the paint confirmed it was tempera and that the red pigment of the hair was applied by Botticelli’s hand. The only areas Rossetti appears to have retouched were some areas of the face and the cap. 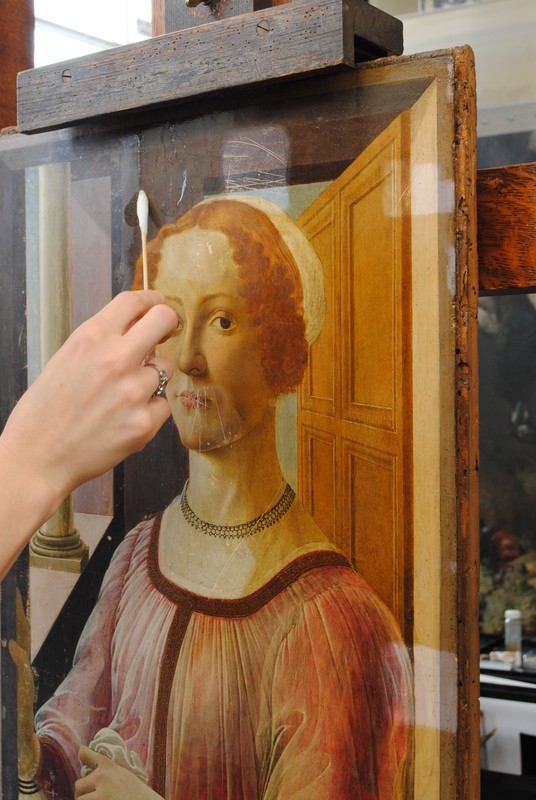 Infrared reflectography revealed interesting details about Botticelli’s process. He drew incised lines on architectural features like the pillars, window framing and door which add depth and precision and help ensure the perspective looks accurate. 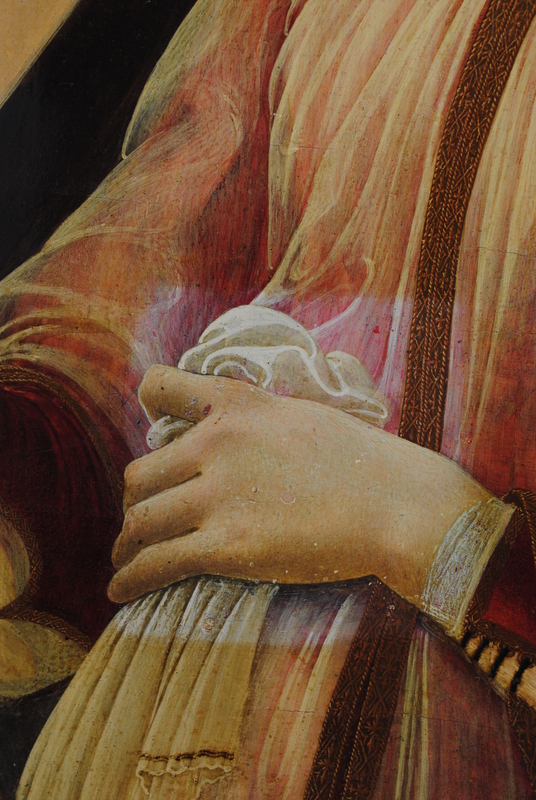 For Smeralda’s garment, Botticelli first used liquid sketching to rough out the clothing before covering it in a wash of paint with high carbon content to enhance the shading. When Rossetti acquired the painting from a Christie’s auction, Botticelli’s genius wasn’t as widely recognized as it had been during his lifetime. The 19th century saw a gradual revival of appreciation for the Renaissance master, and the pre-Raphaelites played an important role in the reevaluation of Botticelli’s significance. Dante Gabriel Rossetti, John Ruskin and Edward Burne-Jones collected Botticelli paintings and drawings, which goes to show how different the market was for his work back then. 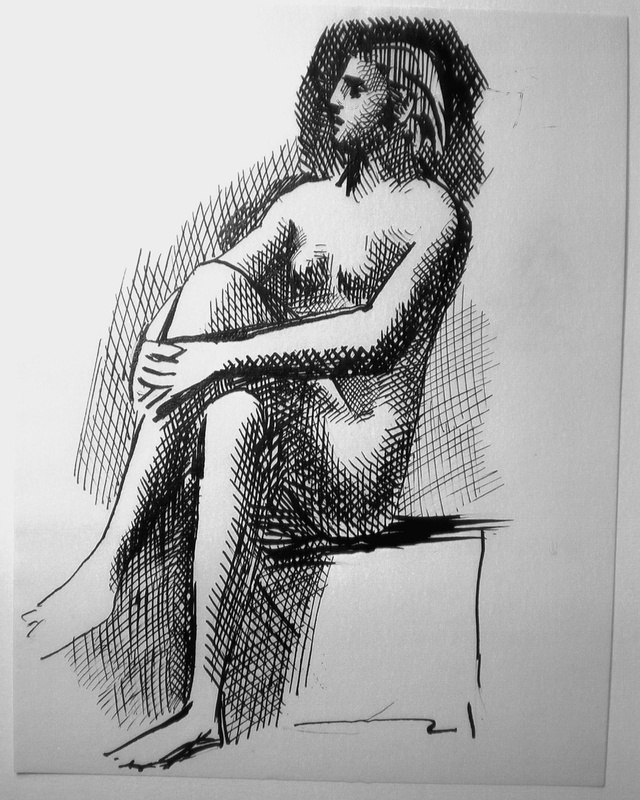 Rossetti paid £20 for Smeralda Bandinelli (plus £4 to have it professionally cleaned). When he sold it to collector Constantine Alexander Ionides just 15 years later, the sale price had leapt to £315. It hasn’t been sold since and isn’t likely to be ever again — Ionides included it in his bequest of 82 paintings to the V&A in 1901 — but Botticelli’s Rockefeller Madonna set a record for the artist when it sold at auction for $10,442,500 in 2013. The upcoming exhibition looks at Botticelli’s work, how it was seen in his time and how, after three long centuries of obscurity, it came back to prominence through the work of artists influenced by him. 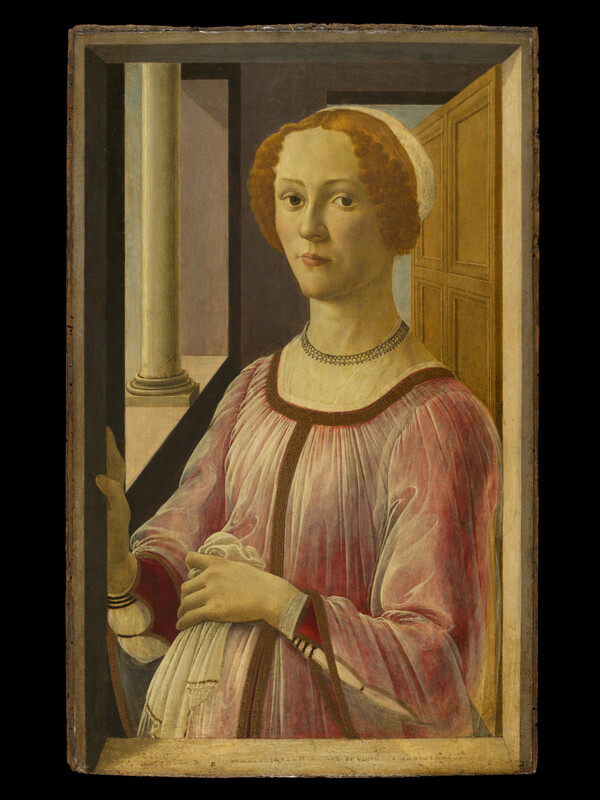 There are more than 50 original works by Botticelli in the exhibition. Pre-Raphaelite reimaginings of Botticelli like Rossetti’s La Ghirlandata and Burne-Jones’ The Mill: Girls Dancing to Music by a River will be on display alongside works by Botticelli-inspired artists as diverse as Andy Warhol, Rene Magritte, and designer Elsa Schiaparelli. It’s a joint exhibition with the Staatliche Museen zu Berlin which has eight paintings and 86 drawings by the Renaissance master in its permanent collection. The show opens in Berlin on September 24th of this year and closes on January 24th. It opens at the V&A on March 5th, 2016. 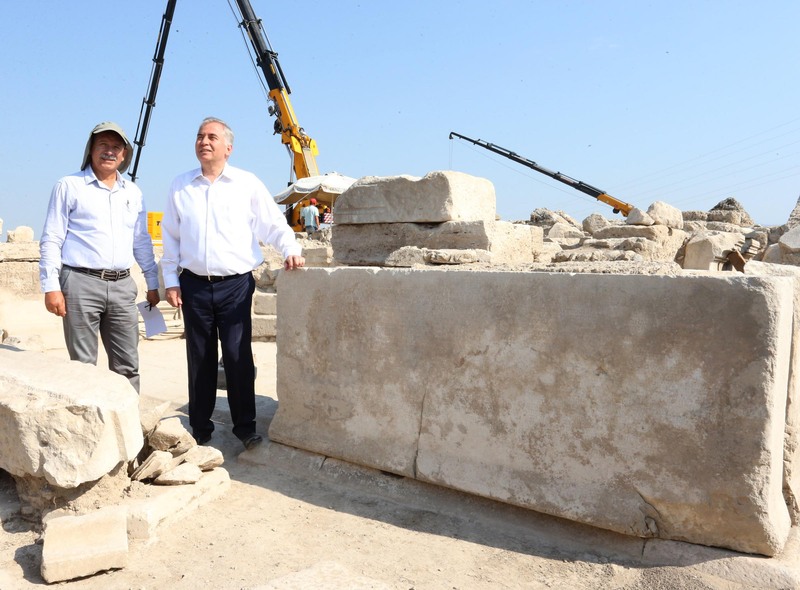 A marble slab inscribed with Roman-era water laws has been unearthed in the ancient city of Laodicea in western Turkey. The highly detailed law was written by the Laodicea Assembly in 114 A.D. and approved by Aulus Vicirius Martialis, proconsul of the Roman Asia province, in the provincial capital at Ephesus. It was carved on a slab and erected in the city to put fear in the heart of all water scofflaws. The Roman affinity for practical engineering ensured cities had access to public water. Aqueducts carried enormous quantities of water from nearby sources to the urbs where it was split up into lead pipes and reservoirs supplying the fountains, baths and drinking water throughout the city. Keeping people from illegally tapping into the pipes to supply their own homes was a constant struggle. If too many people helped themselves, not only would the water flow be disrupted for their neighbors, but the sewer system tied into the water system suffered as well since it required regular flushing. Backed up sewers and low water supply make for uncomfortable and dangerously unsanitary conditions in any city. Water management was thus an essential aspect of city administration and violators of the common water good were subject to heavy penalties. In Laodicea, anyone caught polluting the water, damaging the pipes and channels, opening sealed pipes or stealing the city water for private use would have to pay fines as high as 12,500 denarii. A legionary was paid 300 denarii a year in the early second century A.D., so fines in the thousands would be complete disasters for regular people. Many of the most egregious public water thieves were quite wealthy since they had homes into which city water could be easily and discretely diverted, so it was important that the fines be large if they were to act as any kind of deterrent. 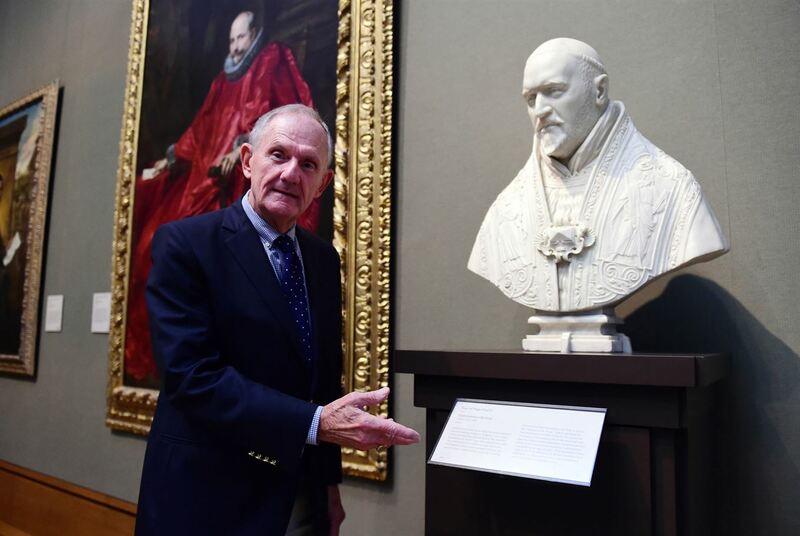 The bust of Pope Paul V by Gian Lorenzo Bernini that was acquired by the Getty Museum in Los Angeles earlier this year has left a trail of criminal investigations and fired civil servants in its wake. When the museum announced the rediscovery and acquisition of the long-lost sculpture this June, the only details released about the purchase where that it belonged to an unnamed private collector who arranged a private sale via Sotheby’s London. The last time before then that it appeared on the historical record was when it was sold to a Viennese collector at an 1893 Borghese family estate sale. Last month, details started to leak about the acquisition. The Getty was reported to have paid a jaw-dropping $33 million to buy the bust from a still-unnamed Slovakian art dealer who had bought it unattributed and then found out it was the real thing, not a copy after Bernini’s original. Somehow, the work had migrated from Vienna at the end of the 19th century to modern-day Bratislava, Slovakia. where it was in the collection of Slovakian painter Ernest Zmeták. In 2013, Zmeták’s heirs put some of this collection, including the bust of Pope Paul V, up for auction. 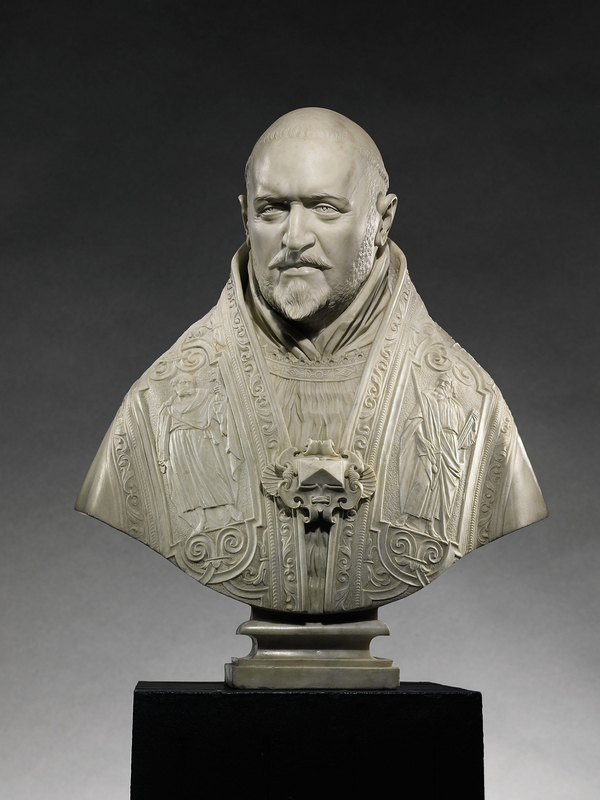 The bust, then attributed solely to an “unknown Italian sculptor,” was put up for auction twice, once in December of 2013 for 47,000 euro, and when it failed to sell, again almost a year later for 24,000 euro. Shortly after the bust couldn’t find a buyer even at the 50% off fire sale, the auction house sold the bust privately for the reserve price of 24,000 euro to one Clément Guenebeaud, a French collector living in Bratislava. It was Guenebeaud who realized the bust was made by Bernini himself. He tried to sell it on his own but the large hole in its ownership history made potential buyers wary. A famous work of art that mysteriously traveled from Vienna to Slovakia over the course of the 20th century runs the risk of being Nazi loot which could mire the current owner in a messy and expensive restitution battle. 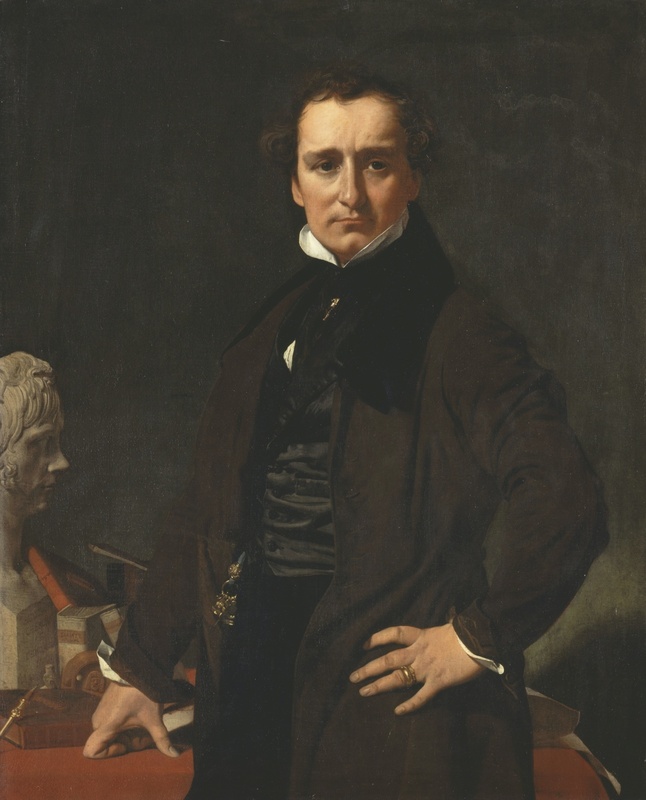 Sotheby’s was game, though, and through them Guenebeaud was able to sell the bust to the Getty. The Baroque masterpiece left Slovakia without incident. After the Getty announced their new treasure with a splash, the fact that a small country with limited resources that could really use a tourism boost had somehow let a 17th century bust by one of the greatest sculptors in the world slip through its fingers did not go unnoticed back in Bratislava. Culture Minister Marek Maďarič ordered an investigation into the bust debacle and filed a criminal complaint against an unknown offender involved in the sale on suspicion that someone involved in the appraisal and sale knew its true value but deliberately and fraudulently obscured it. As of now, there is no evidence of deliberate deception. The auction house in Bratislava is a local outfit without the depth of expertise necessary to confidently attribute a sculpture to Bernini. Ernest Zmeták apparently had no idea the bust was original, nor did his heirs. The only person who had any idea, Guenebeaud, didn’t hide the fact that he thought it was a genuine Bernini in his application for an export license. He wrote that it was probably by Bernini and estimated its value at around €7 million, but the ministry employee in charge or arranging the permits changed the description from “bust by Gian Lorenzo Bernini” to “bust after Bernini.” Apparently she decided to go with the auction house’s assessment rather than Guenebeaud’s, and the commission that reviews permanent export applications accepted it without ordering an expert examination to confirm or deny the disputed authorship. Minister Maďarič fired her and the director of the department in charge of issuing export permits. The timeline of all these events is foggy. It’s not clear who determined the bust was original. It could be Alexander Kader, head of the department of European sculpture at Sotheby’s London, but usually the top experts in the field are consulted for works of this importance. Presumably the Getty wouldn’t have shelled out $33 million without being satisfied the bust was by Bernini. If the special commission tasked with investigating irregularities in the export license find it to have been granted improperly, it’s possible the license will be revoked and the Slovakian government will request that the Getty return the bust. The museum does not seem concerned. Archaeologists from Mexico’s National Institute of Anthropology and History (INAH) have unearthed part of a large rack of human skulls in the Templo Mayor complex in Mexico City. The Aztecs would pierce the heads of the sacrificed, string them together on wooden stakes and mount them on a vertical posts. This structure, called a tzompantli, would be erected for all to see as a highly effective symbol of ruthless power. 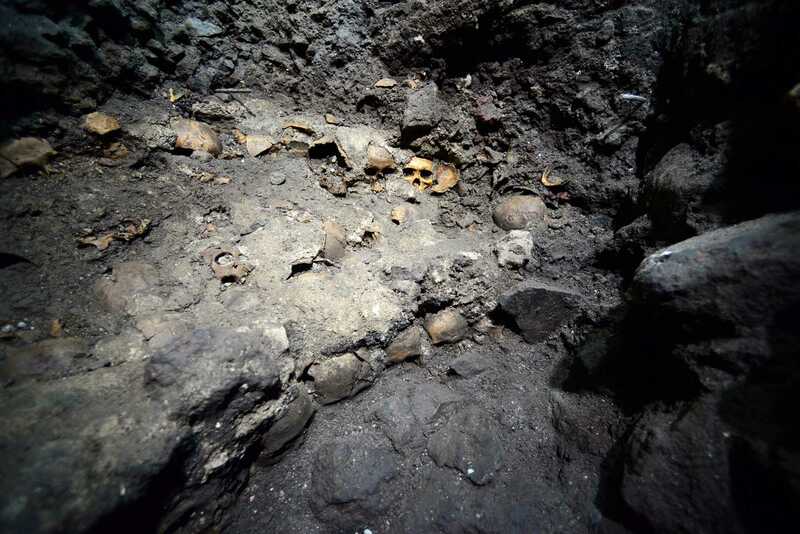 A five-skull tzompantli was discovered underneath a sacrificial stone and a mound of skulls and jawbones at the Templo Mayor in 2012, but this latest discovery is on a whole other scale. Archaeologists believe it is the major tzompantli of the Aztec city of Tenochtitlan described in Spanish accounts of the city before its destruction in 1521. The team was digging in a well under the floor of a colonial-era home on the western side of the temple complex. Six feet under floor level, they discovered a wall of volcanic rock coated with stucco with a flagstone floor. The rectangular platform, estimated to be more than 34 meters (111.5 feet) long and 12 meters (40 feet) wide, has at its center a circular structure made from skulls cemented together using a lime, sand and volcanic gravel mortar. Many of the skulls have a hole 25 to 30 centimeters (10-12 inches) in diameter piercing the parietal bones. They are all facing inwards at the open space inside the circle. Adult male skulls predominate, but there are skulls from adult women, youths and children as well. So far archaeologists have counted 35 skulls, but expect to see that number increase exponentially as they dig further down under the stucco and stone slabs. Preliminary dating places this structure in Stage VI of the construction of the Templo Mayor (between 1486 and 1502), during the reign of Aztec warrior king Ahuízotl. He was succeeded on the throne of Tenochitlan by his nephew Moctezuma II who would meet his end fighting Conquistador Hernán Cortés. 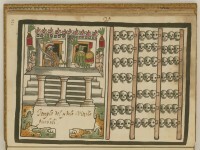 Cortés himself described the great tzompantli of Tenochtitlan, as did early ethnographers Franciscan friar Bernardino de Sahagún and Dominican friar Diego Durán. 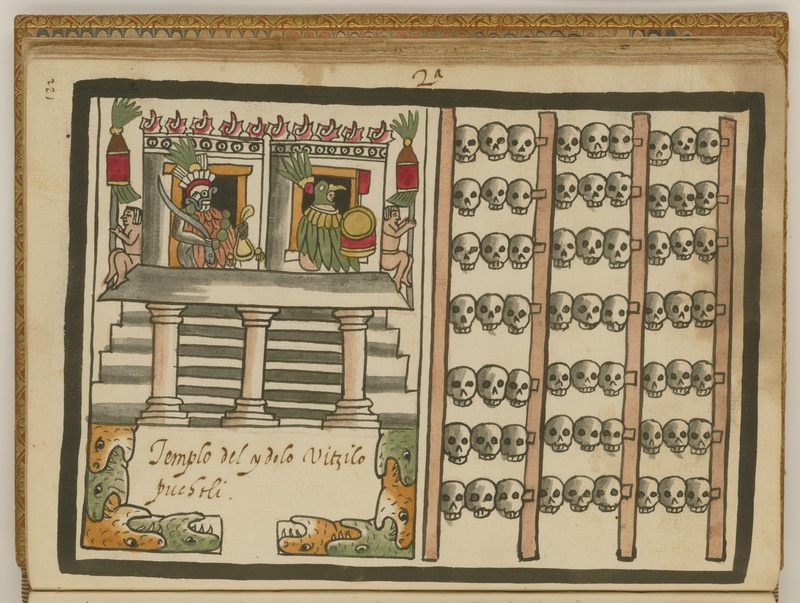 They wrote of tzompantli with low, elongated bases supporting the vertical posts with horizontal racks of skulls. There is also at least one account of skulls mortared together; this is the first time a tzompantli has been discovered matching that description. “They’ve been looking for the big one for some time, and this one does seem much bigger than the already excavated one,” Gillespie wrote. “This find both confirms long-held suspicions about the sacrificial landscape of the ceremonial precinct, that there must have been a much bigger tzompantli to curate the many heads of sacrificial victims” as a kind of public record or accounting of sacrifices. 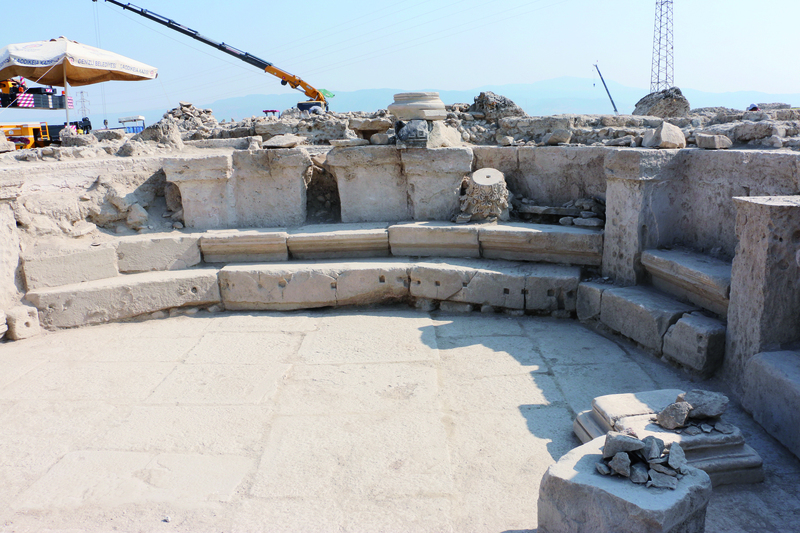 The second stage of excavations will begin in November. Meanwhile, the skulls will be examined in the laboratory. They’ll test the DNA if they can recover any and will test stable isotopes in the bones and teeth to determine the geographic origin of the sacrificed. 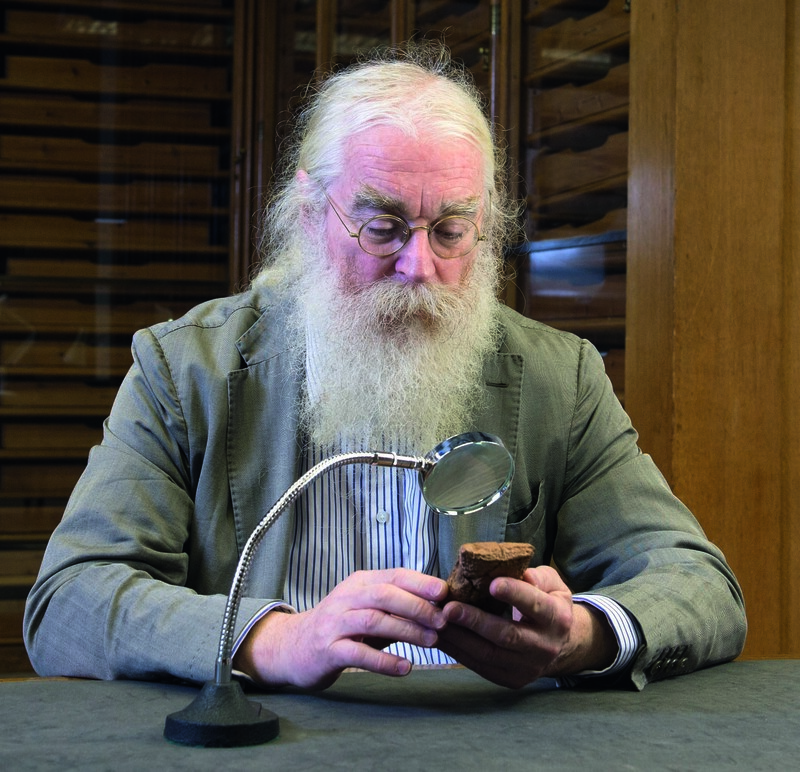 Five years ago, the news broke that premier cuneiform scholar Dr. Irving Finkel, Deputy Keeper of Middle East at the British Museum, had translated a new account of the ancient Babylonian Flood Story on a clay tablet from 1,750 B.C. and found directions for making a round ark. There are multiple versions of the deluge myth in the ancient Near East. One features Ziusudra, King of Sumer, as the Noah figure and is found on a single tablet from the 17th century B.C. excavated in Nippur, Iraq. The Epic of Gilgamesh tells the story of Utnapishtim who was tasked by the god Enki-Ea to build a boat that would save his family, craftsmen, plants and animals from the flood the other gods were sending to destroy humanity. 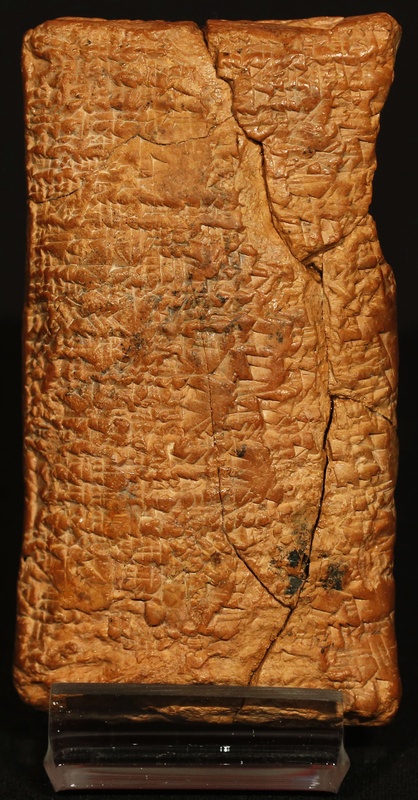 The earliest surviving Gilgamesh tablets date to the 18th century B.C. The Akkadian version is named after its hero, Atra-Hasis, and is found on fragments of tablets also dating back to the 18th century B.C. The Flood Story on the tablet recently translated by Dr. Finkel is the Akkadian Atra-Hasis version. 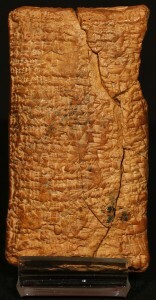 All of these versions of the Flood Story precede the Biblical version with the one God and Noah by a thousand years, a fact that caused a sensation in 1872 when British Museum Assyriologist George Smith announced he’d found the first cuneiform account of the Great Flood, now known to be the 11th Tablet of the Epic of Gilgamesh. Smith published his find in the 1876 book The Chaldean Account of Genesis, a seminal volume in the history of Assyriology even though several of his translations, admittedly makeshift solutions to missing bits in the sources (he suggested Gilgamesh was to be read Izdubar), have since been corrected. Finkel published his translation of the Atra-Hasis tablet last year in The Ark Before Noah: Decoding the Story of the Flood, a fascinating archaeological detective story that manages that rare feat of conveying its author’s contagious enthusiasm along with the scholarly information. I’m sure in someone else’s hands the analysis of cuneiform tablets can make for dry reading, but Dr. Finkel’s ebullience shines through on every vigorously-turned page. That endlessly renewable resource of enthusiasm played a key role in the translation of the round ark tablet. Dr. Finkel first encountered the small cuneiform tablet in 1985 when it was one of several pieces Douglas Simmonds brought to the British Museum for expert assessment. Douglas’ father Leonard was in the Royal Air Force after World War II and had amassed a significant collection of Near East artifacts during his travels. After Leonard’s death, Douglas researched the objects. Finkel had already helped him with several cylinder seals and clay tablets before the fateful 1985 encounter. As one of very few people in the world who can sight-read cuneiform, Finkel was able to read the clean first verses of the tablet: “Wall, wall! Reed wall, reed wall! Atra-Hasis…” That passage is famous among Assyriologists as the opening lines of the Atra-Hasis Flood Story. Finkel was thrilled at such a rare find and asked to keep the tablet so he could translate the whole thing which is covered in cuneiform front and back, but Mr. Simmonds was unwilling to part with it. It wasn’t until 2009 when Dr. Finkel spotted Douglas Simmonds at the Babylon, Myth and Reality exhibition that the latter finally agreed to bring the tablet in for translation. 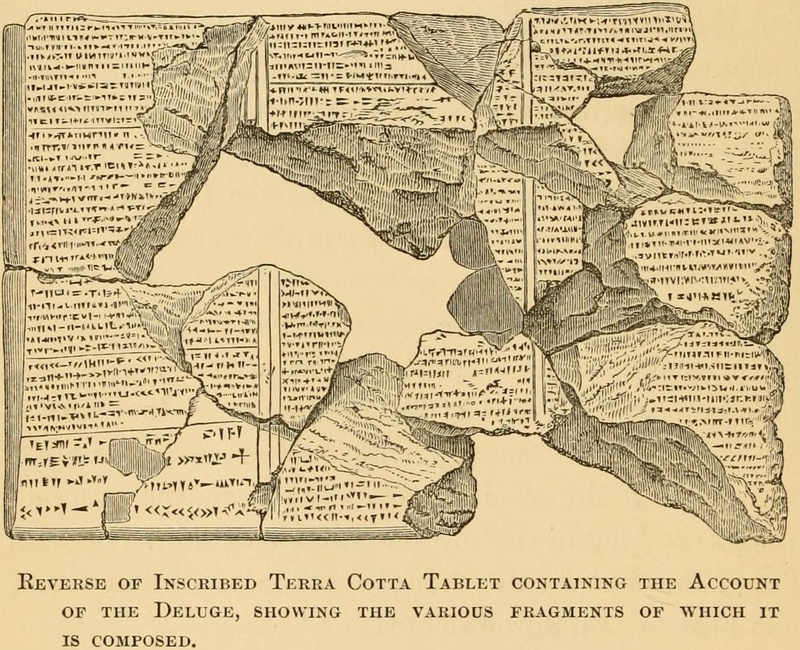 The back of the tablet is more damaged than the front, with significant chunks missing, but what is there continues the discussion of bitumen application and then describes Atra-Hasis and his family getting on the boat. In one moving passage, Atra-Hasis prays to the moon god Sin that the coming tragedy be averted. Sin’s reply includes a line that will strike a familiar chord with anyone who has ever heard the Noah story. Armed with this unique description, Dr. Finkel contacted ancient ship specialists to see if they could construct a scale version of the ark. The project was filmed for a television program called The Real Noah’s Ark which first aired on Britain’s Channel 4 last September. It apparently aired as Rebuilding Noah’s Ark on the National Geographic channel, but I missed it. The British Museum’s YouTube channel just posted a five-minute introduction to the episode a few days ago, which was the first I’d heard of it. The program doesn’t appear to be available on demand from the Channel 4 website at the moment, or at least it’s not working for me. It has, however, been posted on Vimeo and I strongly urge you to watch it while the watching’s good. Simply stated, this show has everything: Mesopotamian history, issues in ancient urban water management, the Ziggurat of Ur, dangers military and ecological, southern Iraq’s enchanting marshlands, cuneiform tablets and the laser-scanning thereof, ship design, archaeological geology, traditional crafts, how reeds can be used to make an AMAZING house, bitumen drama, flood legends and their transmission from Babylon to Judea, the reality of regular flooding in the Fertile Crescent, several exceptional beards and at the end, a big ol’ round boat. A unique life-sized marble sculpture capturing the lovely young Campbell sisters mid-dance has been jointly acquired by the Victoria & Albert and the Scottish National Gallery. The sculptural group sold at auction last July for $868,090 to a foreign buyer. To keep the rare masterpiece in the country, the sale price was raised by the museums thanks to grants from the National Heritage Memorial Fund and the Art Fund. The V&A and the Scottish National Gallery will share joint custody of The Campbell Sisters, each museum displaying it for seven years at a time. Made by Florentine sculptor Lorenzo Bartolini around 1821, The Campbell Sisters Dancing a Waltz depicts the girls stepping lively side-by-side as their delicately draped gowns seem to flutter in the breeze. (It was Bartolini who dubbed the dance a “Valtzer” even though it’s obvious they’re not waltzing. The face-to-face whirling dance we know as the waltz became popular in aristocratic circles starting in the 1770s, so you’d think he would have been familiar with it.) Sisters Emma and Julia were the youngest of the eight children of Lady Charlotte Campbell, daughter of the 5th Duke of Argyll, and her distant cousin/husband John Campbell. It wasn’t a great match, fortune-wise, and after his death the Lady Charlotte had significant money troubles. By the time Bartolini immortalized Emma and Julia in graceful motion, they were living with their widowed mother in Florence where a noblewoman in reduced circumstances could live more comfortably than she could in England or Scotland. Given their comparative brokeness, it’s not certain who commissioned the work. According to Bartolini’s studio notes, the sculpture was commissioned by the girls’ brother Mr. Campbell, but the whole family had limited funds so it’s unlikely their eldest brother Walter would have spent £500 on a marble life-sized portrait of his sisters. Perhaps a more likely candidate is the girls’ uncle, Lady Charlotte’s brother, George William Campbell, the 6th Duke of Argyll. Bartolini’s notes say they shipped it to Edinburgh and at some point the sculpture wound up in the dining room of Inveraray Castle, seat of the Dukes of Argyll. There are no references to its arrival in the castle archives. Bartolini was famous in his time for his portrait sculptures. He had been one of Napoleon’s favorites and his fortunes suffered somewhat in the wake of his patron’s final defeat and exile, but he made a decent living in the late 18teens and twenties in large part thanks to portrait commissions. A great many portrait busts of prominent men and women of the period (the Bonaparte siblings and spouses, Alexander I of Russia, the Duke of Alba, the Duchess of Sutherland and dozens more) made by Bartolini are in museums and collections all over Europe and the United States today. Canova’s static, posed neoclassical aesthetic still dominated, while Bartolini preferred a softer, more naturalistic approach he’d learned studying painting in Paris under Jacques-Louis David. Despite his eye for naturalism and movement so clearly evinced in The Campbell Sisters, the portrait of the young ladies is one of only two action sculptures made by Bartolini. The other one was Neoptolemus Casting Astyanax from the Walls of Troy, made in 1841 and widely considered Bartolini’s chef-d’oeuvre. Commissioned by Donna Rosa Poldi-Pezzoli, the Astyanax group would become the core of Poldi-Pezzoli Museum founded in Milan by her son Don Gian-Giacomo. Bartolini created a scene of dynamic action — Neoptolemus (aka Pyrrhus) about to throw the child Astyanx from Troy’s ramparts to his death while his mother Andromache lies prostrate at his feet, one arm reaching up his leg — in marked contrast to his static portraits. 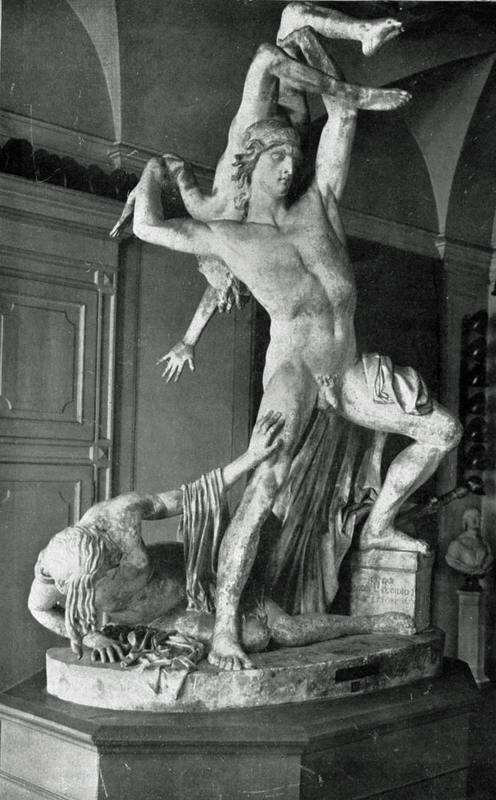 Sadly the sculpture and its plaster model were destroyed by aerial bombing in World War II. 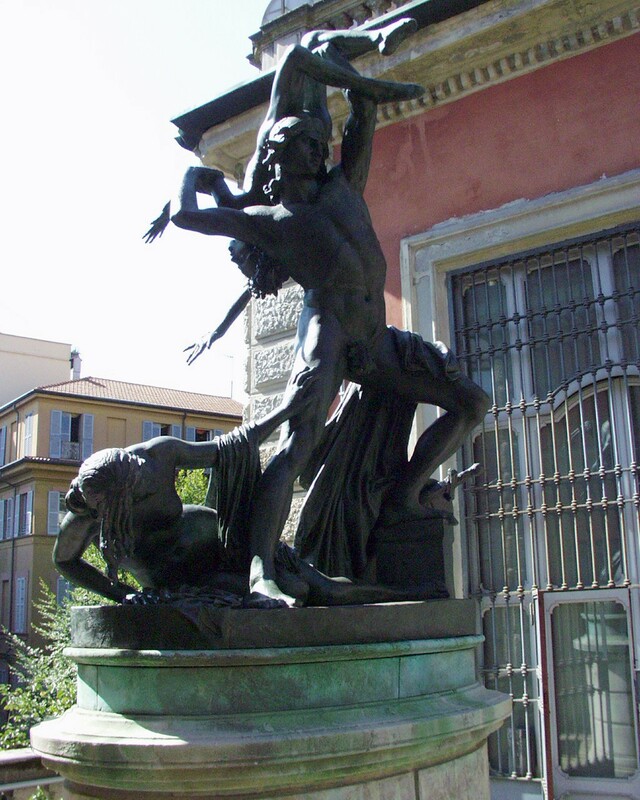 A bronze replica made in 1902 after the original marble, then located in the courtyard of the museum building, was damaged in a hailstorm, has survived, as have preparatory drawings now in the Uffizi and the Morgan Library and Museum. That makes The Campbell Sisters the only surviving Bartolini sculpture that captures characters in movement. 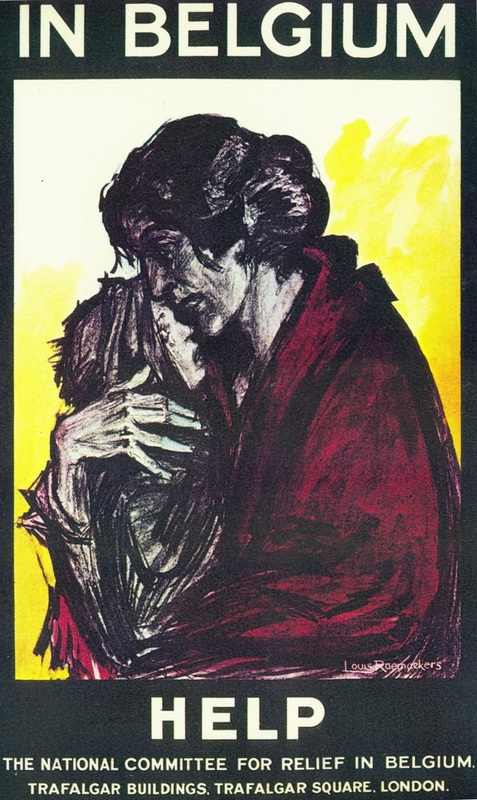 Because of that and because it’s a much earlier work that uniquely combines the portraiture he was best known for and an action scene, the UK museums are thrilled to get to keep The Campbell Sisters. It is on display at the V&A right now, where it will remain until November 20th. After that, it moves to the Scottish National Gallery in Edinburgh for the first seven year visitation period. For more about Lorenzo Bartolini, peruse the marvel that is this website dedicated to the artist and his art by Florence’s Galleria dell’Accademia. It literally has his entire output in the Works gallery, plus gobs more information everywhere. The English version works too! I don’t know how many times I’ve seen the alternate languages of smaller museum sites only have a single introductory page while all the rest of the links are broken.